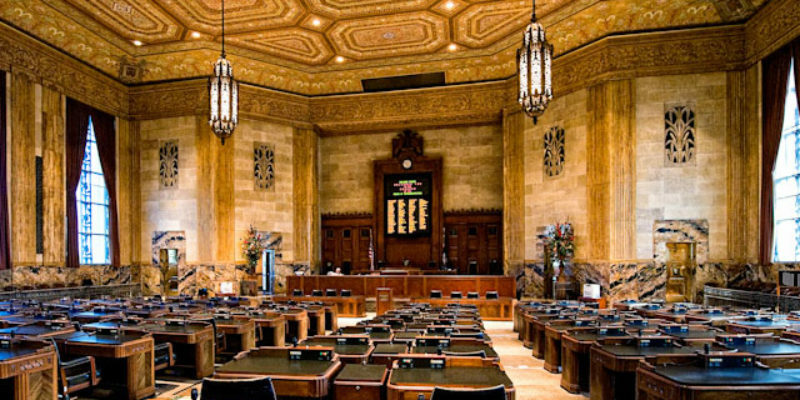 The Louisiana House of Representatives just repudiated Governor-elect John Bel Edwards and elected State Rep. Taylor Barras (R-New Iberia) the new Speaker of the House. Barras was elected with 56 votes, with both Democrats and Republicans voting for him. Barras emerged as a compromise candidate last night after State Rep. Cameron Henry (R-Metairie) failed to secure enough votes from the Republican delegation. This morning, State Rep. Neil Abramson (D-New Orleans) also emerged as a candidate. The three candidates, along with Governor-elect Edwards’s pick, State Rep. Walt Leger (D-New Orleans) went to the first ballot in the race. Leger emerged as the front-runner with 49 votes, Henry was second with 28 votes, Barras got 26 votes, and Abramson got 2 votes. Henry then stood up and withdrew from the race. Barras then won the second round of voting 56-49. Walt Leger later won a consolation prize when he was nominated for and won without opposition Speaker Pro Tempore, which is the number two seat in the Louisiana House. A Democrat is in the leadership of a “Republican”-controlled House. Barras isn’t exactly a high profile name. His record from LABI is 84% lifetime which isn’t all that bad. The most important thing out of today is that the Louisiana House has already weakened John Bel Edwards in his first day in office. Edwards will find quickly that he has very little power. He’s already a lame duck and he hasn’t even been sworn in yet. That’s equals a good day, for the most part, for conservatives. Meanwhile in the Senate, John Alario was reelected as Senate President with virtually no opposition.